SaferSurf is a disturbing browser application which promises a security service. On safer-surf.com the program is presented as a tool that can prevent access to adult content websites which are presented as black list domains. Even though the extension is free and can be installed on the most popular web browsers, including Internet Explorer and Google Chrome, no one should install it. As malware researchers have discovered, the program is sponsored by third-party advertisers who may be completely unreliable. If you do not want to interact with potentially unreliable parties, you should remove SaferSurf without any hesitation. Have you heard of the Lyrics family? This faction is infamous because of the misleading, advertisement supported programs which present unreliable ads instead of the promised lyrics. Unfortunately, it is also infamous for a number of suspicious programs that offer the same service. Whether you visit block-n-surf.com, block-it.net, shieldren.net or the aforementioned safer-surf.com, you will face the same website with a few minor changes, like the title of the promoted program. It has been revealed that not all download links on these websites are active, which means that they are not fully developed. Needless to say, you should delete programs that are represented in such a strange manner. 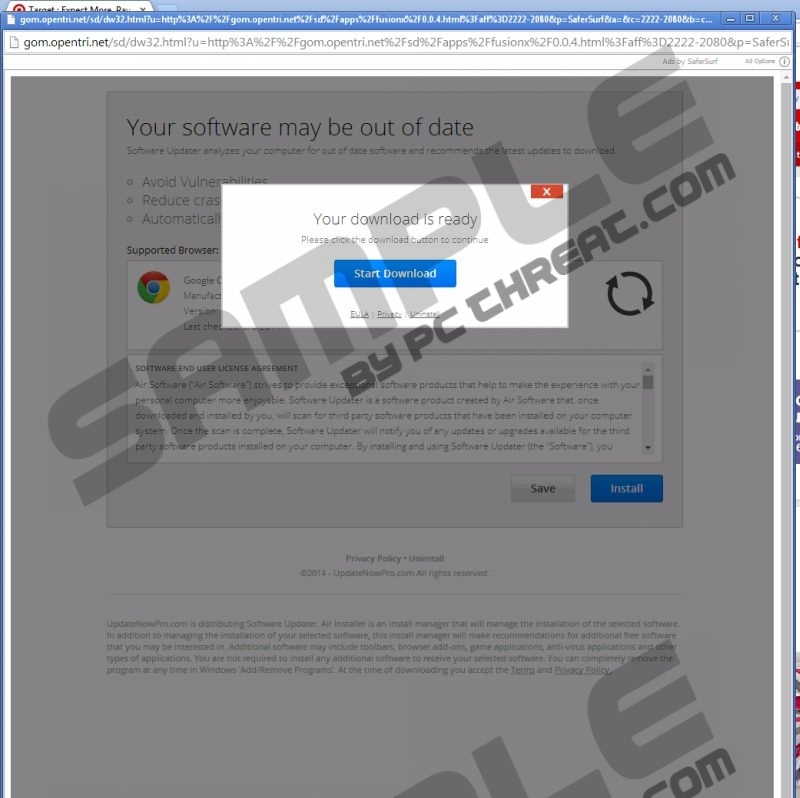 Even though it may be impossible to download SaferSurf from the official website, it has been revealed that the application could travel bundled with other applications. Unfortunately, these programs may require removal as well. According to malware analysts, in many cases fictitious Java and Flash update installers could be used to distribute SaferSurf. The bundled installers these fictitious updates hide could be used to propagate adware, tracking cookies, potentially undesirable programs and other kind of junk that may be difficult to delete from the operating system. Keep in mind that fictitious installers could be presented by the flooding SaferSurf ads as well. 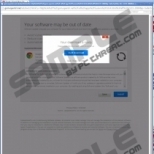 Advertisements presented via gom.opentri.net, ndo.coreopti.net, and other adware servers could indicate the existence of adware. Advertisement supported programs can be installed without permission alongside other dangerous/intrusive programs, which is why we recommend that you delete SaferSurf and scan the operating system for other threats. To remove adware, delete other existing threats and ensure full-time Windows protection you can install SpyHunter. This authentic security tool removes malware automatically and ensures that all security vulnerabilities are safeguarded. Remember that your virtual security remains vulnerable even if you succeed at the manual SaferSurf removal. Locate the Start menu icon on the Task Bar and click it to open the desktop menu. Select Control Panel to open a new menu and double-click Add or Remove Programs. Click the undesirable application and select Remove. Go to Uninstall a program and right-click the application you wish to delete. Now select Uninstall and finish the process. Tap the Windows key to access the Metro UI menu and right-click to open a pane below. Select All apps, then open the Control Panel and click Uninstall a program. Right-click the program you wish to delete from the computer and click Uninstall. Quick & tested solution for SaferSurf removal.